We love shooting weddings and one of our favourite things is embracing the individual challenges that you face as a photographer at each and every wedding. We thrive in the trickier conditions and if, as fate would have it on Lauren and Rich’s big day, water falls from the sky throughout the festivities then for us the rain simply becomes another character of the day and one to welcome photographically whole heartedly and with open arms (well except for maybe an umbrella!) After all the frosty british weather normally ensures that winter weddings take place exclusively indoors but we can’t get enough of that glorious December light that so often glimmers beautifully through the windows and we have quite a few winter weddings that we just can’t wait to share coming soon to the blog! Back to today though and we are starting with Lauren and Rich’s big day at the gorgeous and deeply historical Merchant Adventurers Hall. 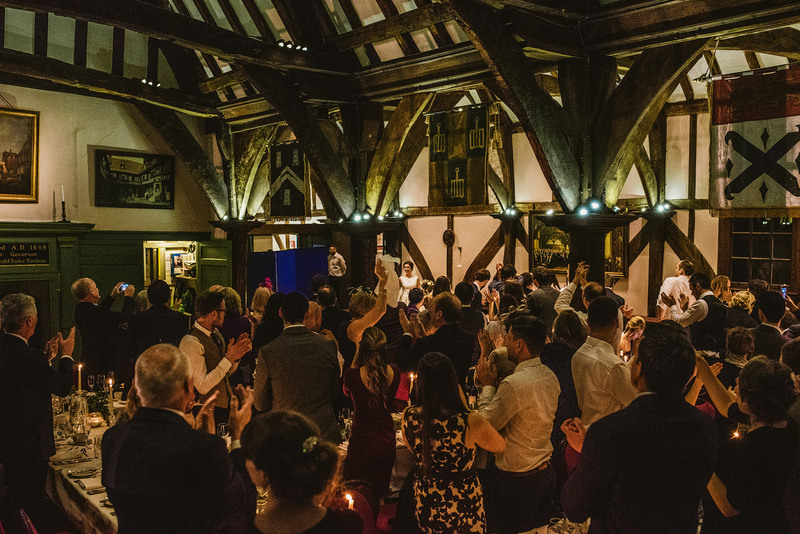 This is one of York’s finest and a venue that simply doesn’t matter a jot if you can’t go outside – the grand setting in the regal hall is an ideal space for a ceremony and reception and then it’s downstairs to the funky basement for dancing and craziness! In fact that word craziness was particularly fitting for Lauren & Rich’s reception with The funky Sally Band keeping everyone on the dance floor all night long and, without doubt, having a complete blast! Thanks so much to Lauren, Rich and all their family for an awesome occasion. Below are just a tiny slice of our favourite images from the day! York wedding photography by York Place Studios. 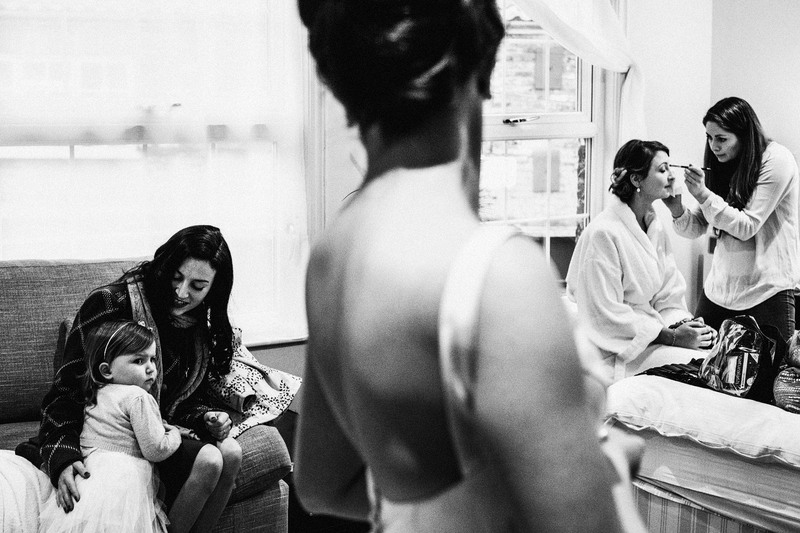 Dominique Shaw and Liam Shaw are the creative partnership behind York Place Studios and strive to create emotional, storytelling photography that captures the real moments of your wedding day. 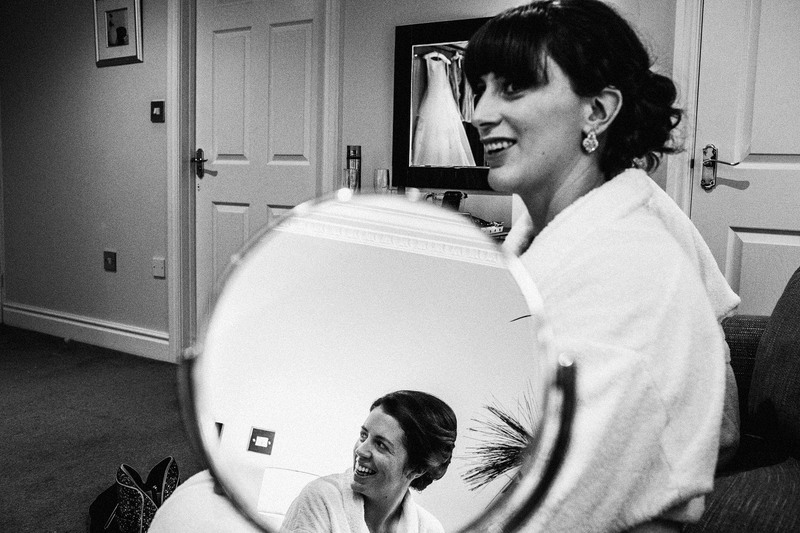 Based near York and Leeds, the destination wedding photographers travel across their home county of Yorkshire, the UK, Europe and worldwide to capture your special moments. Looks like an awesome dance floor! What a sweet, cozy, and fun wedding! I love all of it! SO so good. Your storytelling is sublime! documentation at its finest. Love it.